Thousands of CTAs involving over 100 DMOs! Administered through the Tourism Ambassador Institute, a subsidiary of Mickey Schaefer & Associates LLC, the Certified Tourism AmbassadorTM Program is a certification program that serves to increase tourism by inspiring front-line hospitality employees and volunteers to work together to turn every visitor encounter into a positive, memorable experience. The premise is simple: If front-line employees and volunteers (those who come into immediate contact with the visitor) provide quality service to visitors (convention attendees, visitors, business travelers, etc. ), the visitor is more likely to have a positive experience. Visitors who have a positive experience are more likely to return at some point in the future. They will share their perceptions with their friends. Everyone benefits – the tourist, the hospitality industry, and the local economy. The concept of tourism ambassadors is not new to the industry. 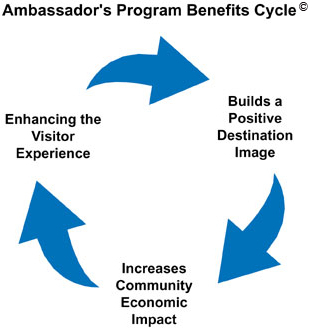 Several cities in the U.S. and Canada have implemented some form of an ambassadors program. These current and past programs range anywhere from downtown ambassador programs that answer visitor queries and monitor safety and cleanliness, to programs for cab drivers where their license to operate is contingent upon completing formal customer service training. One of the critically important differences between the Certified Tourism AmbassadorTM Program and these other training programs is that the CTA program will lead to full certification. Upon completion of all program requirements, front line employees and volunteers are awarded the Certified Tourism Ambassador (CTA) designation and may use CTA behind their names, e.g., John Smith, CTA. The designation is conferred by the Tourism Ambassador InstituteTM (TAI) in cooperation with a Convention & Visitors Bureau (CVB), Destination Marketing Organization (DMO), or other Tourism or private entity which has agreed to uphold certain standards of practice in order to ensure a high level of program quality over time. Those achieving the CTA designation would be expected to participate in continuous learning activities in order to renew their certification on an annual basis. This certification component strengthens the program in the eyes of the front-line workers and their employers and, as such, has lasting value over time to a city, region, and the nation as the program grows from city to city. The beauty of the CTA designation is that it provides front-line employees and volunteers critical training that helps improve their attitudes and their performance. It gives them a chance to meet one another, learn from each others’ experiences, and celebrate together. All of this strengthens the program over time as the program matures. The program has many features that translate into a wide variety of benefits that permeate, and elevate, the entire hospitality and business community. 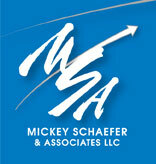 Contact MSA today to learn more about this exciting, ground-breaking program.